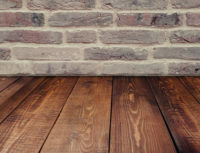 SALINAS – On March 22, 2019, Jorge Luis Calvo Padilla, 46, of Seaside, was sentenced to three years of probation and ordered to pay a $1,000 fine for failing to carry workers’ compensation insurance for a worker he employed to help build a deck. Padilla faces up to one year in county jail and additional fines if he violates his probation. On June 18, 2018, the Contractor State Licensing Board (CSLB) investigated a report of unlicensed construction work taking place at a property in Carmel by the Seas. At the property, CSLB investigators witnessed two men building a wooden deck behind the residence. Padilla was identified as the contractor on the project and admitted that he was not a licensed contractor. In addition, Padilla admitted that he had hired a worker to help with the deck. On October 30, 2018, the Monterey County District Attorney’s Workers Compensation Fraud Unit charged Padilla with unlicensed contracting and not having workers ‘compensation insurance. Both offenses are misdemeanors. The case was investigated by the Contractor State Licensing Board. California law requires all employers to secure workers’ compensation insurance for their employees. Workers’ compensation insurance ensures employees injured on the job have adequate medical coverage and other benefits.